The Indian Coast Guard (ICG) protects India's maritime interests and enforces maritime law, with jurisdiction over the territorial waters of India, including its contiguous zone and exclusive economic zone. Applications will be accepted 'Online only' from 26 Aug to 04 Sep 2017 till 1700 Hrs. 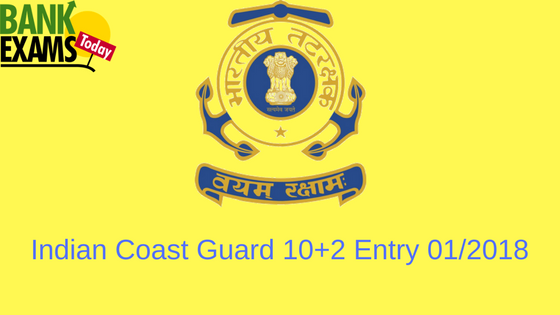 Candidates are to logon to www.joinindiancoastguard.gov.in and click on opportunities button and apply.